CAUTION! Your tax money at work. and loose brains . . . The worst part is, it took 3 union workers all morning to put up that sign. Caution. 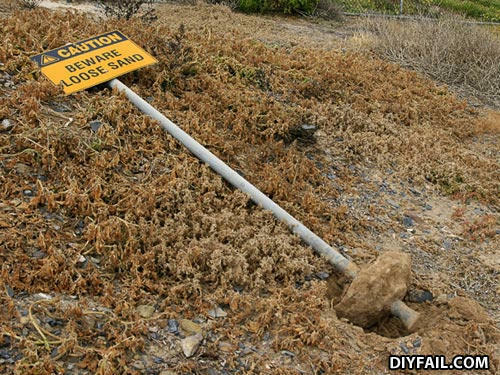 Beware fallen signs in loose sand. Why was the black man holding the knife in such a particular manner? Because he was getting dinner ready for his family.